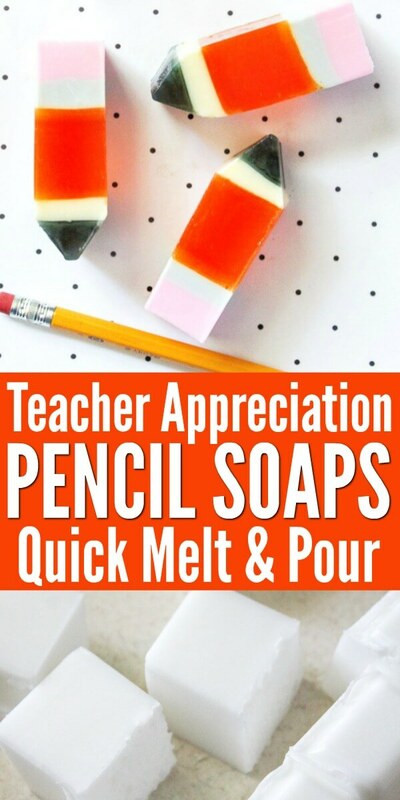 These fun melt and pour pencil soaps are perfect for a back to school gift or as a teacher appreciation gift. And they’re so easy to make! 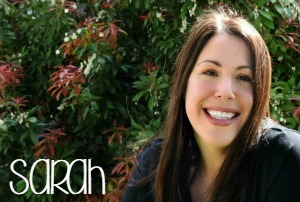 School is hard, not just for students and teachers but also for parents. There is a TON of activity volunteer duty, snack schedules, classroom volunteering, shows, fundraisers… The list could go on. 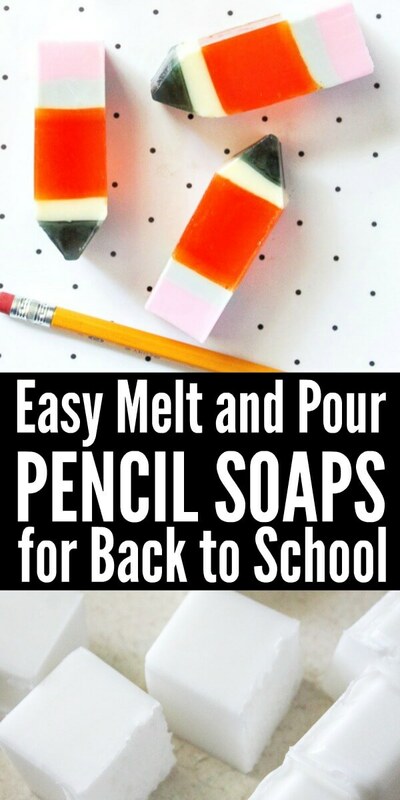 If you’ve ever used melt-and-pour soaps, you likely have a couple of these supplies on hand already. 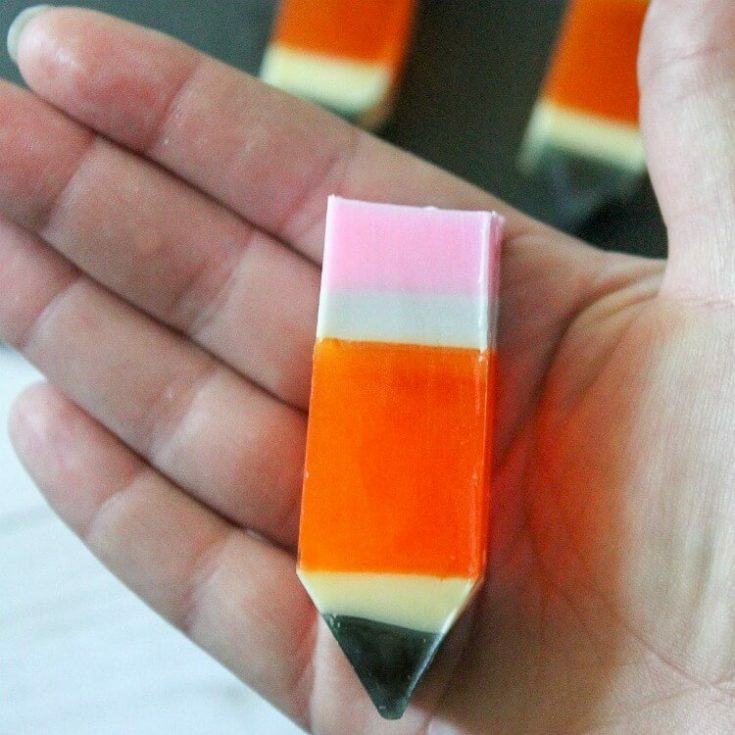 This is an easy soap to make and we will work in layers. In order to build the layers, I’m going to tell you what is in each bowl first. The notes below (2 rows, 4 rows, etc.) refer to the rows of soap in the packages. Position the soap bases horizontally (longer side). You will cut the rows vertically. Place bowl 1 in the microwave for 30-second intervals. Stir between intervals until melted. Add black coloring once melted and stir. Add essential oils. Pour the black soap into the mold slowly. Allow the soap to set for 10-15 minutes. Repeat the process with bowls 2-5, pouring over the previous soap in the mold. For the pencil section, if you’re adding glitter, be generous with it. Pop any bubbles with a knife or toothpick. You can also scrape off any which rise to the top. Let the soap sit on the counter (no movement) or in the refrigerator. Be patient – this takes a while to set. Wait at least 3 hours if in the refrigerator, overnight if on the counter. Once the soap has set, remove the large, long rectangular soap from the mold. Cut the soap into bars and then cut each bar into thirds. Cut the bottom of each pencil (the black section) into a point. 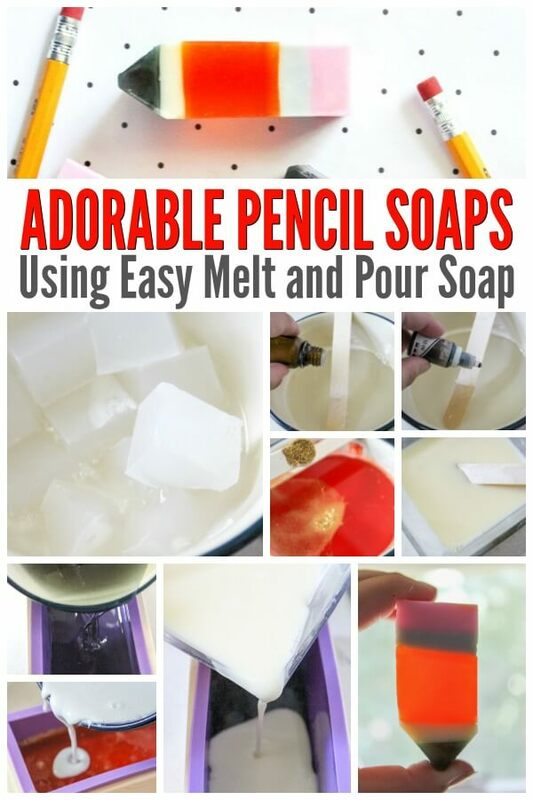 You’re done with your melt and pour pencil soaps! Wrap them up in threes and gift them with a nice ribbon and gift tag. What is your favorite soap scent? Let us know below. I’m partial to vanilla – you can’t mess with a classic – and anything with a citrus scent.